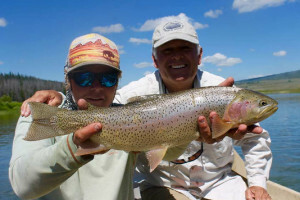 The Green River Lakes consist of two lakes located in the heart of the Bridger-Teton National Forest and 52 miles from the nearest town of Pinedale, Wyoming. The Green River Lakes provide a scenic backdrop to activities like fishing, camping, boating, and hiking. 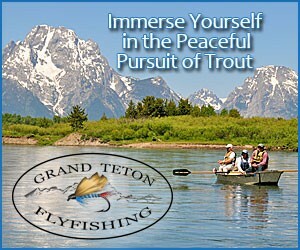 Guided trips on the Green River & Green River Lakes. 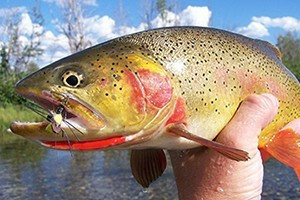 This river is perfect for a true freestone river experience and holds huge rainbows, browns, and cutthroats. 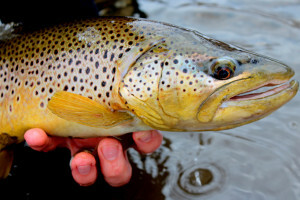 What can I see and do at the Green River Lakes? 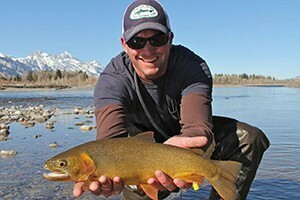 Summer months are great for fishing brookies, cutthroats, rainbows, and lake trout. 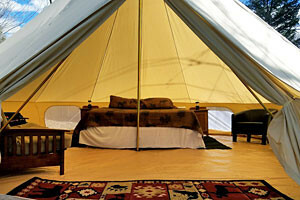 Located at the Lower Lake, you can camp at the Green River Lakes Campground from mid-June to mid-September. There are 39 sites that are first-come, first-served. Small motorized boats, as well as kayaks and canoes, offer a great way to explore the Lower Lake. Only non-motorized boats are allowed on the Upper Lake. Jump on the Continental Divide Trail (located right at Lower Green River Lake) and head up to Upper Green River Lake and beyond. A 14 out and back option will get you up close to Squaretop Mountain. Continue on to the Highline Trail and deeper into the Wind Rivers. This picturesque mountain is located on the far end of Upper Green River Lake. Head up the Continental Divide Trail for better views. Where are the Green River Lakes? 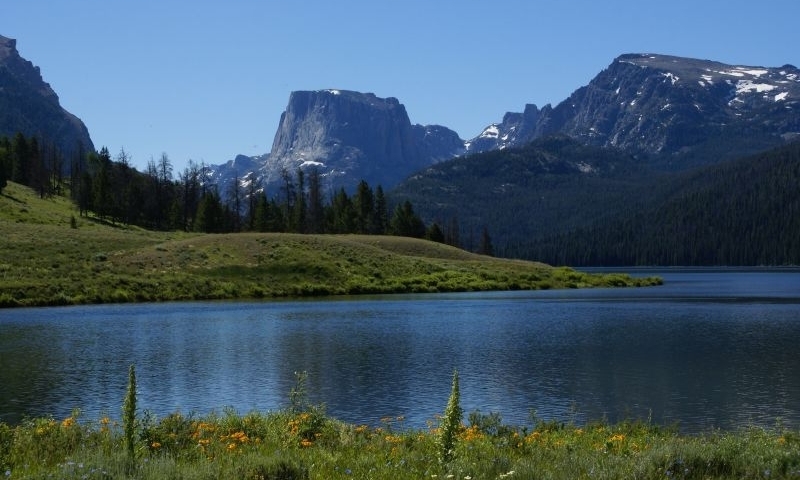 It takes about an hour to drive from Pinedale, Wyoming to the Lower Green River Lake. From downtown Pinedale, drive west on East Pine Street/US-191. Turn right onto WY-352 which turns into Green River Lakes Road and follow it to the end. The Upper Green River Lake is accessed via the Continental Divide Hiking Trail at the Lower Lake. When are the Green River Lakes accessible? During the winter, the Green River Lakes Road is only plowed to the end of the pavement which is about half way between Pinedale and Green River Lakes. From the end of the plowed road, snowmobilers, cross country skiers, and mushers share the use of the groomed Continental Divide Trail to access the lakes and wilderness. The rest of the road typically opens in mid-June (depending on snowfall). Contact the Pinedale Ranger District at 307-367-4326.